I’m following the lead of Brian Poe today, advocating on behalf of my family, in this case my Filipino citizen son who loves Mar Roxas and detests VP Binay and Mayor Duterte and is not all that fond of Brian’s mother, either. My son feels badly for Senator Santiago even though he doesn’t get her jokes. Junior is only in elementary school, but he recognizes thieves and thugs and opportunists are not nice to good people. He thinks they have not been nice to President Aquino. Junior is proud of the Philippine flag and Jose Rizal and President Aquino. Here is a picture of the rock star who has been filling arenas across the Philippines. You have to ask media editors why they missed the story. Maybe they are not so good at what they do. ← Will China militarize Panatag? Will missiles be aimed at Manila? Wow, Joe! The rise of a new genre–short, haiku-like writeups, in contrast to your blog’s kilometric essays. A good break, and good for easy recall. I was hoping to see a picture of your handsome son but that’s asking too much. Wishing you a good dry season (we don’t have summer here) with your son. I got inspired, following the line of thought in the right column. All I said about my son is true except the Santiago jokes. I’ve never told him one. He is very interested in the people and way things work. I have a hefty tome on Jose Rizal, adult material, and he reads pieces from it now and then. You’re an American. But you write meaningful, logical blogs about the Filipino, and the Philippines. I admire your deep concern for us (Your son wouldn’t have to go through the same struggle as ours) that many of my powerful, educated, rich people don’t dare to share. Many of them are lost in the making of a true Filipino society, trying to twist reason in order to put into the government those they wish to even with their knowledge of what is/are right for everyone. I really don’t understand where they get their reason. Thank you, Joe America. Well, thank you, Emilia. I appreciate your kind words a lot. The upcoming election is a very tight race, compared with 2010 when it was clear a couple of months before election day that Noynoy Aquino was going to win. The surveys showed him ahead of the pack, enjoying a wide lead. He won 42 percent of the votes. Analysts say that the candidates have hit their ceilings and possible change depends on issues—some twists of fate—that will have an impact on them and their campaign strategies. At this point, it could be anybody’s ballgame, although Roxas has not yet topped any of the surveys..
Aquino is also untainted by dirty deals and is perceived to have kept a level playing field in business. Many are comforted by the thought that the corruption scandal rocking Malaysia is not likely to happen in the Philippines with Aquino at the helm. It is critical that the next president possess certain qualities to be able to address these tough challenges. The vision thing. He or she should be a strategic thinker, committed to the common good, and has the facility to stretch his or her mind to get a panoramic view of issues. This way, decisions are made with clarity and ample regard for how they will affect others. Character. Integrity and a strong sense of fair play are vital. The next leader should be honest and sincere. He or she should value meritocracy. A candidate who is unable to say no to friends with vested interests does not deserve to be voted into office. Executive skills. The Our next president should be like an orchestra conductor, deft in making a team work together, equipped with leadership and management skills. The hope is for the new president to be able to unite the Philippines in the face of global challenges and pressing national problems. From the lecture Marites Danguilan-Vitug gave before the World Bank-IMF Filipino Staff Association and the US-PH Society, March 23, 2016 in Washington D.C. It is terrifying to consider what might possibly transpire under any of the other presidential candidates–and the people in the shadows who will be making their decisions for them. It’s a sign that there are group of people that are controlling the Philippine media. No love, no concern for the future of the nation by Philippine media not to show to the people the candidate who is a top crowd-drawer. This photo could have given the 50 million voters a chance to see who is the most well-liked candidate & most deserving candidate to be the next President. I agree, and have pointed readers to the sponsors of the Escudero wedding to grasp the power politics being played by the major media, whose owners and operators are a part of the class of entitlement and impunity. The President of the Inquirer is a part of the Romualdez family which has been playing dirty politics with an incredible tragedy. Any objective analysis of their paper’s content would show a clear intent to hide Roxas and deny people a clear understanding of his values, programs and personal graciousness. It’s pretty disgusting if you think too much about it. I find it disgusting because journalism is supposed to be one of the higher human institutions, fighting for openness and justice and information. Rather, these dogs are denying my son the right to live in a land of high ethical values and goodness and promise. MOST FILIPINOS aspire to a “middle-class lifestyle” by 2040, with the government taking a critical role in driving the economy to a high-income status and eradicating poverty within a generation. This is the primary vision Filipinos share for themselves and the country over the long term, based on the results of a nationwide survey commissioned by the National Economic and Development Authority (NEDA). NEDA launched the “AmBisyon Natin 2040” study results in Quezon City yesterday, just over a month before the May 9 national elections. The survey shows 79.2% of Filipinos aspire to a “simple and comfortable life” with a moderately sized home and sufficient earnings for day-to-day needs. Other priorities include the purchase of a car, university education for children and leisure travel within the country. A 16.9% segment, meanwhile, aspires to an “affluent life,” described as having savings for unexpected expenses and a business with sufficient earnings for their needs, apart from housing, cars, university education and leisure travel. Only 3.9% of respondents admitted to seeking the “life of the rich” — defined as a large house and business with high earnings, in addition to the car, university schooling, savings for unexpected needs and leisure travel. The survey indicated that 79% of Filipinos want to live near their workplace, with 30% preferring to stay in the capital of a province, another 30% in a big city, and 29% in a small provincial city or town. #AmbisyonNatin2040 – there is an FB page now about the aspirations of Filipinos to a decent future… Joe you were right about the middle class let’s hope they realize that the way to a decent life by 2040 does not go via the supposed shortcut thru indecent people. Yes, let’s hope so. Most interesting profile. It ought to be pretty simple for an earnest speechwriter to write to that audience, and write truths. Not manipulations. Discussion threads of all the major publications have been rendered useless by all the political advocates shouting obstinately. Have you detected an editorial slant by Rappler writers? I no longer read there very often. The Inquirer seems to be Option 1, pro-Poe, and Option 2, anybody but Roxas. Anything they do on Roxas has “take aways” that diminish him. Some of the headlines are absolute trash, like that worthless political bishop Arguelles declaring the comic book as evil. Hahahaha. It’s a comic book. It is not priests fooling with children. He’s one of the priests who tried to get Aquino to resign. April fools.Cut the tabloid media some slack.It is their day today. Good idea. Thanks. They can just do their joke articles free of any grief from me. Most of them are either robots or the bleating sheep in Orwell’s Animal Farm. We were taught this in high school economics. A country that runs a trade deficit continuously is a clear sign of a lack of savings. Trade deficits mean the exporting country has excess capacity or surplus savings. Meanwhile the importing country has a lack of savings hence it imports supply and exports demand. Demand to mean the lost wages, income and taxes that accrue since we lack the capacity due to the lack of savings. The add on effects are obvious. Hence the country will find it difficult to increase taxes to pay for the budget deficits. For the last 13 years we have been able to cover that lack of savings to pay for our trade deficits and other foreign obligations due entirely to the savings of our foreign workers sent to their families. That surplus has been the source of our economic growth as the multiplier effect of that increase in the total money supply made it cheaper to borrow. WTF did the Aquino government do with that entitlement bestowed on them by the Filipino foreign workers? The dogs in the NEDA, DOF, DTi including your horse all sycophants said that it all was due to the Daang Matuwid. Look one fixes the roof of his home when the weather is good. The Philippine monetary system has the Foreign currency unit as another level of the total money supply. Since there was too much of it entering, the BSP started buying it up to prevent massive collapse of the dollar in our own markets. Hence increases in the total supply of pesos. Lower borrowing costs. But our business conglomerates simply increased their investments in the non-tradable sectors of the economy and government infra projects that had with it an implicit guarantees. Hence the lack of good quality jobs that increase salaries, taxes and disposable income consumption. Government has to scramble to increase the tax base. Unfortunately reforms are tough as the constituencies created by this system will be hard pressed to change. Your man Roxas stands at the pyramid that blocks meaningful change to the system. My beef with the media in this country is the fact that they look at the profit picture entirely and dwell on big scandals and entertainment. Hence except for the Business World the entire journalism profession here is mediocre at best. Look this guy Chanco was even suggesting that we invite Charlie Rose to interview our Presidential candidates. Our problem continues a to be government role in consolidating savings and utilizing that to properly direct resources with private sector participation. It is the macro economy stupid!!!!! The whole world is suffering from savings glut, overcapacity and a lack of aggregate demand. FYI aggregate demand simply is the different levels of demand ending with Final Demand. In the more advanced economies personal incomes have stagnated while here we still have to create those meaningful incomes. Men Sta. Ana III of the Action for Economic Reforms has been working tirelessly with his group and the government to bring about important changes to the economic system. I am only acquainted with him. His description of all the candidates is on target. But the entire system is bigger than them. Once again our foreign workers are there still maintaining that benign monetary conditions. Pinoy’s government failed to fully take advantage of it. I am not an expert but in the early 90’s we warned about the folly of opening up our monetary system and essentially put our economic planning strategies with the U.S.Fed. No, I said Teddy Locsin called it brilliant. Kindly don’t put words in my mouth as your fellow economic genius Micha is inclined to do. What I would welcome is what cha has asked for: your expert critique of the economic proposals of all four major candidates, laid side by side. Which is in the best interest of the nation? We can debate the specifics of the Roxas plan for decades and never agree because the intricacies are beyond either you or me. Aggregate demand and final demand are nonsense to me. Put it in terms normal, real people comprehend, not your majestic economic language. You might as well be speaking to me in Mandarin. In normal simple terms what is the economic policy of each of the candidates? Start at the big picture their thoughts on what monetary and fiscal policy should be? Let me give you an analogy using the REPUBLICAN POLICY FRAMEWORK of the ongoing Republican contest.Legislation for balanced budgets. Return to the gold standard. Tight regulations of the Federal Reserve. Privatization of social security and medicare and repeal of Affordable Care Act. Point to one policy statement that I can discuss intelligently. All I have heard are programs they want to dish out. Please give me the policy framework that each of them have announced to the world. This together with the program attached to their party platforms. You do know that we are talking about supply and demand don’t you not. You hide behind not grasping the so called majestic economic language. Explain to me in simple terms the economic policy platforms and programs of your candidate. Please you mentioned Cha. Please enlighten me on the policy platforms of all the candidates. Duterte has mentioned Federalism but has not elucidated. By the way Joe if your wife was a small business owner the good shes buys for her inventory are part of aggregate demand. The items she sells to the final consumer is final demand. That is where supply and demand intersect since her customer uses income generated from a salary/wage or livelihood. Teddy Locsin as a writer critic is one thing on a well written speech. But let us go to the content Joe. You malign very good people because you feel they are not giving your horse play in their newspaper. I am only acquainted with the people you malign and felt insulted. Why don’t you point your barbs at the paper The Standard and some of their columnists who are blatantly pro Marcos/Romualdez. Anyway I wait with baited breath for your down to earth description of Roxas economic policy platform. I never quite understood the term “baited breath”? Is that a fisherman’s expression? It sounds like some Listerine might be on order. I am not the one questioning his economic platform, I am questioning those who would challenge it without considering what others are proposing, as there is a matter of comparatives we must consider in selecting a candidate. Until then, I put my full confidence in the MBC and Teddy Locsin, and others who have praised the presentation. I reviewed the statements of the other candidates a while back, and had them in the “Must Read” section for a while. Cha has referenced the following links in her write-up on Duterte (https://joeam.com/2016/03/29/rodrigo-duterte-and-the-appointed-son-of-god/), and asked for comments from the experts. Both Poe and Duterte including Roxas have mentioned programs they would like to undertake. For those who no spekea da english in economic parlance…Let me lay the foundation. Since 2003 we had achieved more surplus dollars instead of lack of dollars to pay our import bills, debts service, capital or profit repatriation of foreign companies and Filipino investments abroad. That surplus dollars drove the price of dollars down. So much so that the tremendous flow of dollars caused the dollar to drop faster unsafely….So the BSP kept it steady with its purchase and thus released more pesos into the banking system..More pesos means the prices of peso money dropped. Lower prices leads to more demand for pesos. GMA nor Aquino had nothing to do with these events. Government could thus borrow cheaper than it has ever had in the past. It also exchanged its old debt papers that had higher interest rates with lower interest rates. Much like a home owner refinancing his home st a lower rate. Unfortunately Duterte is talking about providing programs to lure foreign investments. His spiel about the steel industry is primarily lifted from his talks with his barber. Under a liberal trading regime, weak state institutions vs unfair trade and smuggling, high power costs due to past policies, high labor costs relative to our competing neighbors and one wonders what he is talking about? As to the mother hood statements on infrastructure spending,even under Aquino infra spending was stagnant as % of today’s pesos GDP. The problem with fiscal space is this. It did not change the problem of lack of governments administrative capacity to implement. Hence under spending. Under Binay it would probably be Christmas every day for the corrupt. Unfortunately when Duterte spoke of South Korea, Taiwan etc., he did not mention the government policies and programs called for heavy State intervention. Forced land reform in both countries. The same with China. Please note: Monsod does not want to propose the state intervention necessary to undertake this policy framework. Now tell me folks… Point one with this kind of mindset. You would have to start with a complete revolution in how the government is structured. From being completely reactionary to one that is proactive. Second all multilateral trade agreements are put on hold until a complete restructuring of the state to provide real safety nets going forward. Comparative Advantage works only with comparable economies WITH THEIR OWN NATIONAL CURRENCIES. I will not get into that as even Micah nospeaka da English on this matter. Let us first start and finish the agricultural revolution necessary to have a true industrial revolution. Please note the words financial sector “encouragement” for small scale agriculture and manufacturing.The visible hand of the State. Sayang si Duterte. He is too old to learn new tricks so he leans on his being a tough sheriff in Tombstone. The above is simply an example of a policy frame work with very grave implications. Later on when and if this becomes successful there should be a purging or pulling up by the roots of the old families that have been the curse of this country. Get a majority of the people on one side with genuine economic revolution starting at the the bottom. I hope those that no speaka da english understand. PH underdevelopment and poverty is not about money . . . and charity. It is about a common purpose and a community sense – or the lack of it – that is, if we are to move from a Third-World to a First-World nation. [It comes from visionary leadership; not hierarchy, not laws, not regulations, not structure.].. The value chain – and the higher the better – is where an enterprise must demonstrate its competitiveness and sustainability. It is where healthy margins are attained – and wealth generated. “Gaya-gaya puto maya.” Imitation may be the highest form of flattery – but it doesn’t hone creativity and innovation. Hierarchy doesn’t either. Oil and water don’t mix – and why the blog in earlier postings discussed “design thinking.” The evidence? (1) PH – we’re not synonymous to creativity and innovation and competitiveness; and (2) “Samsung to reform authoritarian culture to act like startup,” Manila Bulletin, AP, 24th Mar 2016. As some would know, the writer’s Bulgarian friends were the inspiration for this blog. 13 years ago, when he first arrived in Eastern Europe, he found a “cottage industry” operating in an old ex-communist facility. They hadn’t made a profit in 7 years. The one time they did was year-one when they started the business to supply bottle-cleaning detergents to the local brewery – through a friend they had inside the company. The following year, the brewery decided they could buy a better product elsewhere, and they were left with no business to speak of. How many MSMEs have had such a disaster experience? To stay in business, they had to learn to produce other soap and detergent products while borrowing money collateralized by the owners’ (two brothers) very limited assets. “We have to move up to the next level,” was how they explained the dire situation to the writer. What to do? ..
Times are changing. When you compare economic growth of successful countries a few decades ago, you compare with a world economy where manufacturing was still the main economic engine. New technologies and the complete service world around them not existing. Also the number of people in agriculture is shrinking fast, city dwellers rising fast. The BPO industry will be replaced more and more by automation in the coming decade. I would like to see in an economic policy that also reflect the future realities. Focus on agrarian reform, yes, but only as one of the needed changes. Massive spending in infrastructure and education to create meaningful jobs. Focus on “value adding” activities in the service industry. War on process waste to be more efficient and thus more competitive…. But thanks for your clear explanation for a layman in macroeconomics like me. Also for opening the discussion field to a subject that really matters, but I’m afraid that soon Pia and Many or other entertainers will highjack the discussion again. Serious stuff that really influences our wellbeing is so dull. That’s great. After a day of reading a lot of s**t going down, it is good to read something that restores balance and some wee small measure of hope. I’m still leafing through the 110-something photos – they even were provided with a farm manager with excellent UPLB training, the “rose among thorns” who handles the business side the farmers obviously can’t handle – and they are reforesting denuded hills as well. Joe you are dead wrong about the owners of the Inquirer. The Inquirer is owned by the Prieto-Roces clan. Marixi Prieto is married to Alex who is the nephew of the former Manila Times publisher Chino Roces. Alex’s mom was a sibling of Chino Roces. Benito Prieto the father of Alex ran the Times. Ninoy Aquino worked for the Times. When martial law was declared the Times was the first paper closed. It is of no consequence that Sandy who is married to Philip Romualdez is the President of the paper. I know for a fact that they do not interfere with the running of the paper and exercise no editorial control over the paper. Chino Roces and the Prieto family then were fierce opponents of the martial law regime. They personally supported the underground movement vs the Marcos dictatorship. Philip is the son of Kokoy but still he has managed to gain the trust of big business here. 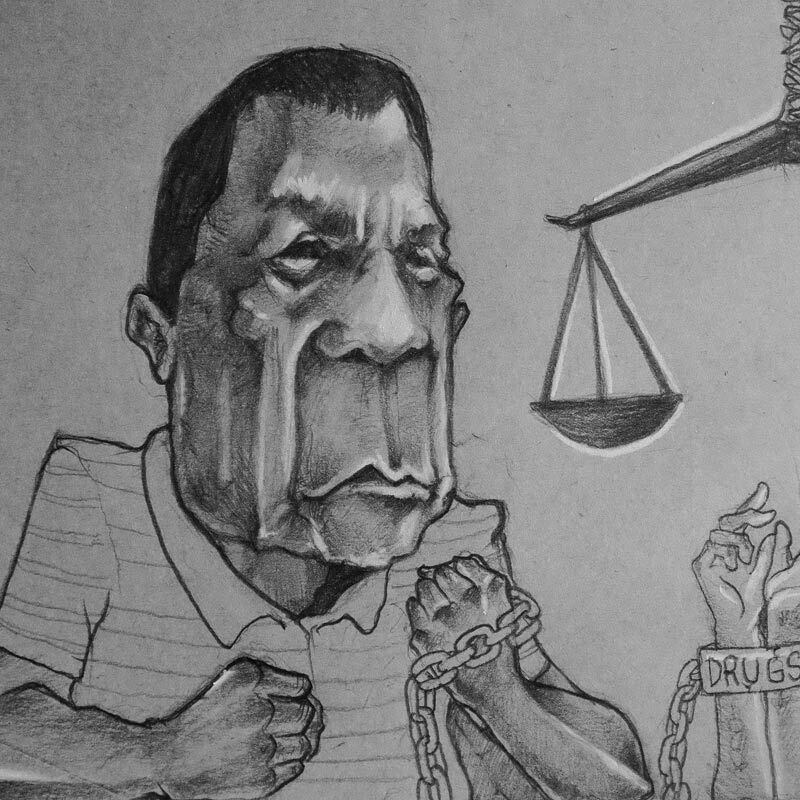 Just because one is a Romualdez does not make him a crook. The clan is large. The former health secretary who passed away is one example. There are many others off course who are really a credit to the human race. Roxas has the backing of the entire executive government machinery at his disposal. Including the full force of governments powerful media machinery with its retinue of well funded forces. Running a paper is still a business. Just because your personal bias colors your perspective is no reason to smear the family who owns the paper or the entire Romualdez clan. Look Belmonte family and Pangilinan owns the Philippine Star. You are a relative newbie. The Prieto Roces clan did not back down in the face of a dictators power and you malign them due to complete ignorance. The same with the Romualdez clan. Is your guy not also the child of entitlement who has done so little? They work in the field of sensationalist reporting, leveraging emotionalism, editorializing the news, creating conflict, and now you are whining because someone gives them what they are dishing out? I’ve done my “content analyses” tabulating headlines and Poe is the winner, and Roxas by far is not a news item. He and Robredo are filling stadiums around the nation, thousands and thousands of loving people who don’t see Roxas as remote and meek or indecisive, but kind and warm and smart, and we get headlines about a bishop complaining about his comic book. Give me a break, they deserve all they get and more. Who are they? Sandy Prieto is President. I am not debating your content analysis. Now you speak for the thousands and thousands of Roxas so called followers. Poe’s candidacy has been controversial. Hence more items. She has been tracking as number one. The same thing is happening in the states with Trump. Since the unofficial start of this campaign your guy has been no. 4. Print media today is completely outmatched by broadcast media. Almost 24 hour radio and tv. Your guy is not a news item in spite of the tremendous resources at his disposal and you vent your wrath on the Inquirer. Look Tony Lopez the Standard and he publishes his own and publishes a business magazine. He is a Marcos supporter and has raked Rxoas and Aquino implying they are incompetent. You are totally off base with the inquirer. Well, the nice thing about eyes and brains is that God gifted each of us with the ability to use ours for ourselves, and the discernment to judge opinions as to direction, weight and intensity, among other qualities. Thanks for supplying inputs. Do you enjoy Ray Charles and jazz. One of the best renditions I have heard of America the Beautiful is from him. There was a funny phrase sometime ago, “white man can’t dance.” America’s original art form from the songs of the slaves. Do you enjoy dancing? Pinoys are more emotional than rational. If you watched the head of the AMLC and the strident tone she displayed you will see her attempt to get control of the situation and push her narrative. From the clip I saw she was not communicating she was barking. It is too bad broadcast media and print media are so untrained in the art form they practice. I do enjoy Ray Charles, and once saw him perform at the Hollywood Bowl in Los Angeles. Spry old blind black dude in a red sequined jacket sitting at a grand piano taking 10,000 people up and down the emotional ladder. My dorm roommate in college was a full-blooded American Indian. His only possessions, other than a few items of clothing, were a cheap record player and six Ray Charles albums. So I’ve heard a lot of Ray Charles. I don’t dance much. Only if there is a romantic reason. The interesting thing about the “emotional” you cite is that it is often not a physical expression, but rather a mental construct. It is how ideas are formed. I very much agree with your last sentence. Many voters simply see this election as a horse race. So everybody just focuses on the likely winner, everyone rushes to put bets on that winner. The placement of bets will not affect the outcome of a horse race (that’s between horse and rider–unless there’s fixing going on). But focusing only on the perceived likely winners ahead of an election creates a kind of self-fulfilling prophecy and skews voting in certain directions (particularly in a political culture that favors melodrama and larger-than-life personalities). Have mentioned before that there are many Filipino voters would cheerfully vote for a killer or plunderer. But there’s an amor propio thing going on that makes them shy of voting for anyone who starts to look weak or like a loser (of elections). Without at all considering the candidate’s intelligence, integrity, and other qualifications. Or the fact that the candidates are not too far apart from each other even in dodgy pre-election surveys. The Inquirer is an independent news organization, but it still functions in a milieu with this kind of shallow mindset, and is influenced by it. Why”shallow mindset”? Who are Trumps supporters? In the case here the politician patron is the social security safety net of the vast majority of Pinoys. Mar is the anak mayaman. or in your parlance the lucky sperm candidate. He has never worried about paying his rent or where his next meal would come from. This is not the language of traditional political patronage. Especially not when used before this particular crowd. First your comment was about the Inquirers penchant for catering to shallow minds. He is talking about the systemic failure of the economy in general.. That is old old old news. But he did not mention what those blockages were that were depriving these poor people. He was simply restating the state of affairs. WTF was he talking about? Since this problem of systemic blockages existed for so long, what are the solutions? This was not a Christian revival about respecting the dignity of labor. When Park Chung Hee came into power in S. Korea he put the big businessmen in jail and told them to come up with an economic road map to develop S. Korea. Your response is off tangent by light years. Where oh where are the policy prescriptions? Yes, but when the news that the shooting started in Kidapawan, they titled the reportage online as saying the cops fired on the protesters. Who are they you talked about? The reporters, the editors, front page editor and/or editor in chief or online editor.? They are responsible for what is reported as news. You want to vilify the owners of the paper based on the paper’s editorial style. If you do not like it. You turn your mouse and click away from the paper. Did you happen to read the headlines of The Star or are you selective ala Fox news. The Star allows Satur Ocampo commentary space. Does that maker Belmonte and Pangilinan communist supporters. We will learn parts of the whole truth as the days go by. You want to call out biases in media by following what you read here about the Prieto/Roces family whose daughter is married to a Romualdez so they must be up to no good. Please note the communist party is not an illegal organization any longer. Their methods to gain political power are. The government remains steadfast in awarding 7 more public-private partnerships (PPP) before the next administration takes over, according to the PPP Center, despite the recent postponements in the bidding of such projects. Under the Aquino administration, the government has thus far awarded 12 PPP contracts worth P217.4 billion in total.. The energy Regulatory Commission (ERC) has moved to April 30 the effectivity date of a resolution ordering distribution utilities to conduct a competitive selection process (CSP) when sourcing their power supply. The move came after the ERC received several letters from stakeholders, which raised issues on the constitutionality of the effectivity of the CSP resolution, sought clarification on the implementation of the CSP and its applicability to the renewal and extension of power supply agreements (PSAs), requested a determination of the accepted forms of CSP, and submitted grounds for exemption from its applicability. The Philippines expects jobs in the health information management sector to reach 135,000 this year from only 86,0000 full- time employees two years ago. According to Trade and Industry Promotion Group (IPG) Undersecretary Nora K. Terrado, they have generated new leads of companies keen on locating in the Philippines at the recent Healthcare Information Management Systems Society (HIMSS) Annual Conference and Exhibition held at the Sands Expo Convention Center in Las Vegas, Nevada. Increased investments in the HIM-BPM sector are expected, as many US companies showed interest in the Philippines during the roadshow. The Philippine travel and tourism industry contributed a total of P1.43 trillion to the local economy in 2015, equivalent to about 10.6 % of the country’s gross domestic product, according to the latest report by the World Travel and Tourism Council (WTTC). The industry’s total contribution, which reflected not only the economic activities of directly related industries, but also the wider effects from investment, the supply chain and induced income impacts, is also expected to rise by 6.6 % this year and further increase by 5.4 % to P2.6 trillion by 2026, according to data from the WTTC’s Travel and Tourism Economic Impact 2016 report. Around today the Inquirer reported as saying that cops fired on a group of protesting farmers, which sounds quite click-baity and accusatory, the cops already prejudged. Yes, it is unfortunate that of late, some media outlets are now resorting to yellow journalism techniques that are traditionally the domain of scandal tabloids, and hence altering public opinion of certain subjects, topics, events, or persons. No shots fired in the report I read Madlanglupa.. Unfortunately, looks like Inquirer is making some damage already. Complete with pictures. Hi, JoeAm, I am thousand miles away from home and I can see the rock star being born. I hope he succeeds this May 2016 elections, or we can start banging our head on the pavement. Hey hey, good friend jcc, with whom I occasionally spar, but not this time. I hope things are well with you, wherever you travel. The Philippines is a rich, fertile country with long winding rivers and multiple lakes. With these topographical characteristics, it would be easy to think that the country’s agricultural sector is a major economic driving force. But unfortunately, that is not the case. The Philippine agricultural sector has lagged behind its neighboring competition. With a whole host of issues like corruption, as exemplified by the Coco Levy Fund, infrastructure problems like irrigation and farm-to-market-road problems and lack of capital, the agricultural sector can be considered one of the most inefficient sectors of our economy. According to a paper by the Philippine Institute for Development Studies (link), 57% of families whose head works in agriculture live in poverty. A good chunk of the workers in the sector don’t have access to electricity and potable water which are essential in productivity. Current conditions and a lack of effective leadership has hindered in the development of one of the sector. With the realities that are plaguing the sector, a startup company by the name of Cropital (link) has sprouted to help farmers gain capital as well as to give potential investors a medium to the sector. Breathe deeply, Irineo In with the good air, out with the bad, in with the . . .
I’m amused at how many people accuse me of being on the take. As if anyone who disagreed with them MUST by definition be dishonest. No. They are just wrong. They are simple-minded that’s all… because it isn’t like that kind of stuff has NOT happened before… including American authors praising Marcos to highest heavens. And they don’t have the patience to look at the way people have come to conclusions. Well, in the old extractive economy the Philippines used to be everything was about exploitation of resources and people without adding value, and mercenaries abounded aside from the usual cowboys and conquistadores… the present changes not believed because people have lived so long in a culture of entitlement and helplessness that Mar Roxas is believed to be a wolf in sheeps skin… his GRANDFATHER might have been one. That looks to be the usual response – say something good about what Roxas has done and you’re on the take. As if the only logical conclusion to not finding a loophole in the points is that you’re being paid for what you are saying. Hey, Irineo, welcome to the yellow brigade, the yellow brick road of Daang Matuwid…signifying sunrise…the dawn of the best yet to come. I recall in the year past when we were on the opposing side, we the yellowtards..you still searching for what’s has gone on since you left, what’s going on right now. I have a lump in my throat, nearly teary eyed, I felt the same when sonny confessed not so long ago about his change of heart, having been away from the country, too, for so long like you. We have so much more to do, and billions worth of foes to confront, billions who own the media which distorts the facts and hides the truth, billions who might influence the choice of respondents in the surveys, billions which are part of the loot by the mafia head, whose members are still around, trustees and cronies of the overthrown dictator now financing the candidacy of the beneficiary of the SC legislation and amendment of the constitution, strutting around the country aided by ads shouting to one and all that she is finally allowed by the compasionate SC to run, defending the indefensible beneficiary of the coco levy fund who is helping her fund her campaign, endorsed by the no. 10 most corrupt leader in the world, who also endorsed the son of the former number 1 most corrupt in the world until 2008, now only number 2. I guess they’d like to retain being number 1 that’s why they are running again, targeting Malacanang in 2022 or earlier, after Poe is finally disqualified. How can agriculture become a dynamic productive prosperous part of the economy ? In part it can by specialising on crops that are high value and which can be processed onshore in the Philippines. A few crops spring to my uninformed mind : garlic, tumeric, ginger, galangal, chillies, artemesia, sacred basil, vanilla, cardamon, cinammon, coconuts, I’m sure that there are others. Growing & processing such crops will need farmer expertise ( from training ) and the capacity to process the crop ( cleaning, drying, basic packaging ) and that means electricity and investing in basic processing equipment . I suggest growing them certified organically for export to the growing market for organic products in the USA, Europe, The UK, China ( yes China !! ) Japan, Hong Kong, and even Australia. This type of agricultural development has been I know been happening in Indonesia, Malaysia the Pacific Islands and Sri Lanka for the past 10 years. It is one of the reasons why the agricultural sector of these countries has become slowly more prosperous. The only country which has a prosperous small farmer rice growing sector is Japan. And Japan does it by banning imports of rice from any other countries and by paying it’s small rice farmers massive subsidies. The Philippines cannot afford to go down the Japanese road at all. There is not the tax revenue to do it. So going along the path of high value, dense, processed crops is the only alternative. And there will be a higher export price if they are organically certified. But…there is a big BUT….Even this strategy will be short lived if farmers have large famillies and then divide their small holdings into even yet more tiny ones…. The Philippines is in the start/midst of a major urbanisation process.This will continue for another 2-3 generations.. The percentage of people living on farms will diminish as people move to the cities. The job of government is to foster jobs in the cities for these incoming people; and to encourage the provision of housing…not slums. Hi, Bill in Oz. There are farmer groups which are already producing higher-value crops, from cauliflower to cacao to chilies. Have seen them and interviewed them. In contrast to the old-fashioned contract-growing agreements, whereby multinationals like Dole contract individual smallhold farmers to grow, say, asparagus for a fee set by the multinational, these newer groups take a more entrepreneurial approach: they organize and fund themselves (and each other), agree to grow specific crop which will be harvested at the same time, and negotiate supply deals themselves with supermarket chains and other bulk buyers. And some of these farmers have as little as two hectares each, with maybe up to a few hundred farmers per group. One of them, I remember, exported container loads monthly of organic banana to the finicky Japanese market. The production/logistics/marketing systems for this type of arrangement are becoming known. Most such groups are in parts of the country with contiguous growing areas, particularly Mindanao; those in more isolated island-provinces with smaller areas find this harder to emulate. But there are promising opportunities for export of higher-value, even for these islands (and helping to address the issue of the trade deficit mentioned by RHiro) so long as you have the agricultural logistics supply chain in place—and that requires investment in infrastructure and streamlining port operations, among other things. Roxas definitely gets this part of it. 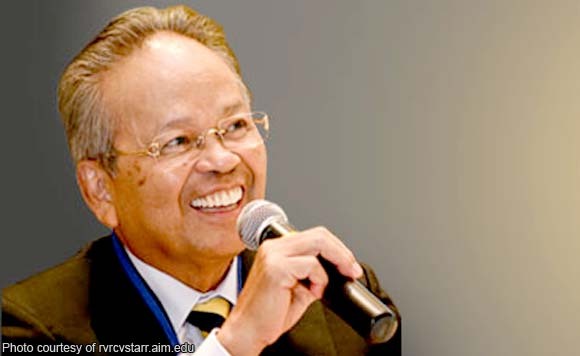 It was at the center of his radar when he was in DTI and often traveling in Mindanao. My post-election prediction: As president he will appoint an agri cabinet secretary with strengths in this aspect of agricultural development and will give him/her the support to work closely with DPWH and DTI on this. All the candidates have made crowd-pleasing mention of agriculture (duh, as RHiro noted, it’s high school stuff). But it’s striking how Duterte is so vague about agri, other than promising less hunger and better irrigation. (This is high school circa 1960.) The other presidential candidates are city folk. On the other hand Davao, largest in area among our cities, has many large tracts of rural land—it even includes Mt. Apo, in its entirely—but in his decades as mayor, Duterte’s just let the Department of Agriculture implement its programs, and that’s it. One reason is that his longtime pals and political backers include big plantation growers. THAT is where his focus will be. Good ole boys who’ve already got a nice chunk of the world market for banana and pineapple. Also networked into the old political family dynasties. And every one of them happily planning what they’re going to do with their turf under federalism. And I haven’t ever heard Duterte speak out on behalf of ordinary growers as passionately as Mar Roxas did before the big boys of the Makati Business Club this week. Better than “rock stars,” who strike me for the most part as cold-bloodedly working the crowd. This kind of stuff is what convinces me that Mar Roxas is in a similar mold as Bam Aquino – not quite yet, but definitely Mar seems more progressive than the present President. At times the present President has relapses into the old patronizing mindset as opposed to Bam Aquino who is truly progressive – and Mar is showing more of his true colors now. Of course economists (and some who think they are) will criticize many aspects of the way things are done as still being “reactionary”, “parochial”, “bureacratic” – they are. But politicians have to work with reality and they cannot afford to elbow too many people at once in a hidebound society – even Noynoy already risked a lot and got flak for that. The tragedy might be that people fall for the pseudo-progressives Poe or Duterte who will take the country really far back, with the opportunity to catch up with Somalia by 2050. Hi Vicara, I am glad to hear that progress is happening in agriculture…The key thought is that subsistence rice growing will never yield significant income for rural village famillies. The rice is mostly eaten by the growers themselves…. A story :Last year I was asked by a Philippino living near General Santos for a ‘loan’ to sow the family hectare of rice land…I asked how much rice the hectare would yeild. And quickly worked out that this amount of rice could be bought for about 60% of what I was being asked to loan….So all the effort of sowing, transplanting, weeding, deterring pests, harvesting, threshing, hull removing, bagging etc. was all for zip.. So I said No and suggested growing ginger…which was also being grown by a neighbour for a good price.. The response was interesting : No it had to be used for growing the ‘family’s rice to eat’. I dropped out of that conversation as I was wasting my time….And the area is in drought anyway from El Nino ( which was being predicted last August anyway !) So if he ever sowed & planted rice it was a waste of time and effort & somebody’s money he borrowed. Sometimes stupidity rules and people just have to face consequences. I just read that there is a big demonst..Surely ration by subsistence farmers happening.They are demanding free rice from the NFA stores in Kidapawan City In Cotabato North province, because of their rice plantings failed. The drought is due to El Nino weather pattern which was predicted by PAGASA and the Australian Weather Bureau last August…. I am not saying don’t help starving peasants. But we know understand the El Nino/La Nina weather pattern ..Surely this knowledge can be used to minimise the damages ? Hi, Bil. I guess this is one reason why so many have expressed dissatisfaction with the Department of Agriculture, saying it does not do enough forward thinking. The king’s daughter returns with a tin sword. The aging bully flexes his muscles before an adoring crowd. The heir to the yellow city trips over his trail of confetti. The judge on the bench screams hell and damnation. The dark man at the center of the mob is a man of the people, or is a messiah, or is a thief, quietly filling his pockets with gold. The third installment, The Candidate, will be published next month. We will bring together both idealized and demonized narratives through the lens of journalism and sociology. By doing this, we hope to understand the complexity of each candidate and the kind of society that gives rise to their stories. – Kudos to Rappler for this series! Duterte openly stating in ther TV ad is you don’t vote for Alan then don’t vote for me! YES indeed dark contrived, conniving sneaky GALING AT PUSO!! Give him a beret and a military uniform and he could’ve been a twin of Hugo Chavez. Hey Irineo, isn’t that ex-Justice Panganiban? It is actually a good depiction of what GRP thinks Mar Roxas will be as President. An oligarch with the Araneta Coliseum beside him and Aquino benignly smiling behind him. BFD means the caricature of Grace? Patricia Evangelista is Rappler’s multimedia manager. She is an international fellow of the Dart Center Ochberg Fellowship for Trauma Reporting and was awarded the Kate Webb Prize for exceptional journalism in dangerous conditions. In 2016, she received The Outstanding Young Men award for the field of journalism. Tweet her @patevangelista. Nicole Curato is a sociologist from the University of the Philippines. She is currently a Discovery Early Career Research Award Fellow at the Center for Deliberative Democracy & Global Governance based in Canberra. In 2013, she received The Outstanding Young Men award for the field of sociology. Tweet her @NicoleCurato. Good for them both !!!! But do you mean “Young Woman’s” award Irineo ? Or have they both transgendered ? I don’t know the statistics on other offices but with mine, half of Duterte supporters are not registered voters. And these are people who are really vocal on their social media accounts. Those who support Roxas are the people you can count on. Just give them the requirements and they would deliver. However the Duterte supporters, with the exception of few, are people who complains a lot, hard to work with (asking too much question before doing things). My background is IT, just to give some context. Most interesting, Adrian. It causes me to wonder how the polling companies certify their respondents as legitimate, registered voters. Good question considering that SWS and PA, among others, report that their respondents are registered voters! Hi Adrian, I noticed that myself – that most of the people I know who are Duterte supporters are from the IT industry, mostly quiet in face to face interactions, rabid and in fighting form when online. I guess it also explains Duterte’s social media support base. They think they’re so smart, they could’ve looked closely for what he really is instead of shooting off their mouths, calling him the next messiah, making themselves no more different from DAESH fanatics. I am personally amazed and disappointed with that wasted intelligence. Just this mornig, the driver of the company car has the radio on with Noli de Castro mocking Pnoy for thinking about acquiring submarines for our defense when we are suffering the aftermath of the MRT breaking down, and traffic torturing daily commuters…thinking of subways and fast trains when the MRT and traffic couldn’t be remedied now or yesterday….complaining of media sensationalism, I could not take listening for more so I told the said driver to switch to music as I’m having HB while listening…he shut off the radio and silence reigned. Bless him. You’re smoking hot, Gracie! And your yellow brick road, fantastic! I wouldn’t want you on the other side. Can’t imagine having you as Dutertard, or Poe-nut or Binayupak. I thank provenance you are striking yellow. Just be sure to take your meds, and your water intake, since you’re smoking hot. I miss Edgar,he reminded me never to forget my meds,I hope he is just meditating somewhere. Sir edgar, missing you here…yuhoo! sonny, too….hope both of you are alright. Thank you, Mary Grace. 🙂 I try to keep up. Prayers for everybody make up for the difference. I hope my three stents hold up. I know the outcome. God wins in the end. Just got done watching the Mass for a Christian burial for Mother Angelica of EWTN. Puts everything in deep perspective. What a human being. God bless! Bill in Oz is worried about your healthsince you mentioned the three stends.That got me worried to.He has a comment for you at Irineo’s some health tips included. I remember your health tips to moi. You are my kind of Mary-tard. Yes indeed — woe unto us if she is with the other side. Shudder. And yes, “smoking hot” too. Mary and Irineo were playing a good concert somewhere up there. Oops. That was wrong. The use of Mary-tard and how it may be interpreted. Whatever. What I really, really mean is Mary-admirer which I have been one for sometime. Now that is done. For the record. Wow, truly honored here, sir NH. Thanks for the uplifting and inspiring words. I am humbled, really..coming from you. We all are doing our part, and I pray that at the end of this journey, we will find ourselves rewarded with the victory of the Continuity Team – RORO. CHA, Willie, Joe and the rest of the guys who contribute their articles we are commenting on…and the much awaited book from raissa. I hope the youth will continue our vigilance for good governance. The sick and the old warriors are holding on, but we need their youth, vigor and stamina. Eternal vigilance will make democracy work, we cannot be less involved. Onward we march, soldiers for good governance. I pray for those in the field, the actual supporters in the campaign sorties. God bless us all. Hi Mary, I may be crazy in enjoying the EDSA traffic. 🙂 I just listen to Strauss and sometimes TED talks. Works everyday for me. I listen to worship songs during traffic, from my Cellphone, that is after my daily calls to my aunt, we burn the cell lines morning and afternoon during the trip to and from the office. I need to know the status of my 95 year old grandma and 70 year old aunt I am supporting in the province. 🙂 All true! You should see his dark scowl when talking about them. He believes they are very bad people. I wish all dads are like you. Then the youth would not be prone to the evil propaganda of the Marcoses. I think parenting, because of need, often becomes routine here. I spent some time on the board of a private school in the US that was a teaching laboratory for the local liberal arts college. The teaching method was to open the very young child up to the joy of learning and not worry too much about exactly what is being taught or learned, or how fast. It is amazing to see when a kid finds joy in what he knows. My son loves dinosaurs and NBA teams and cooking and survivalist skills and why Jose Rizal got shot. He knows the parts of helicopters and how the forces keep it in the air. He know how to make rocket fuel out of potassium nitrate and sugar. He memorizes Dr. Seuss. I think he will be hot on Irineo’s heels for vacuuming up all knowledge and having it mean something important. in a short time, he can learn how to desalinate water. He already learned that from Cody on a survivalist show. ahaha The trick is getting a tight seal on the tin can. wow, a budding scientist / Mcgyver you’ve got there…and politically aware to boot, for someone so young. You must be so proud of him. Congrats to you and your wife. Thank heavens for parents who take the time and their role in this, our good old planet earth. I love that and so did my two daughters. 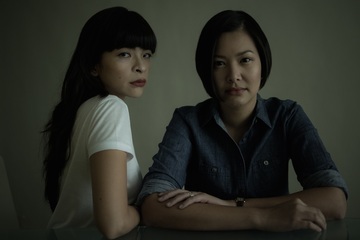 My wife and I are now the recipients of some good daughtering: nice words or advices — appropriately phrased though: the two daughters know our sensitivities, hahaha. Speaking of Return on Investment. Ahahahaha, beautiful. Congratulations on your great family. I would have guessed that, though. Gramps is a good guy. The wonder is that my wife and I are on the same page on raising the children. When one spouse contradict the other on how to raise their children, chaos result, worse when they do it in front of the children as the case of my cousin and her husband. When one says yes, the other says no; one disciplines, the other spoils….and the child takes advantage of the weakness in the family system and turns a brat kid, doing what he/she wants, usually to self destruct, as he/she listens to his friends more than either of the parents. Thanks Mary. As is suggested, why don’t the more “mature ones” — meaning the parents — settle their differences and agree behind the scenes. Parenting is indeed not easy, but sometimes we are aided with a bit of luck. Well, as fast as my cheap Chinese mouse wore out, I expect it to start triple clicking soon, and you’ll have to read them three times. WAIT, WHAT??? DON’T YOU MAKE FUN OF MAR ROXAS??? Well, honestly, I do. Mar Roxas reminds me so much of that nerd from high school who just does not seem to get it right, social skills wise (and I would know, because *I* am that nerd). He tends to put his foot in the mouth with his numerous off-kilter public stunts and statements. I’ve also heard the accounts of my friends who were in ground zero during Yolanda. I’m not very fond of the guy, but yes, I’m going to vote for him. Dude, are you on drugs? Why not Poe or Duterte? I am a CPA-Lawyer. My primary legal practice involves the formation and planning of organizations. I have businesses of my own, and I help in the creation and planning of businesses and non-profit organizations. My work requires me to look at the people who make up an organization and align the business to fit their personalities, goals and what they hope to accomplish. (I’m also a bit of a mythologist, so bear with my incoming pedagogical explanation). I’m taking that experience and seeing the Philippines as an ongoing concern and corporation… a fictional entity comprised of very flawed but idealistic people who despite of the wretched mistakes of their past, still have the audacity to dream a better life for themselves and their children. How do you translate that culture and hope into something sustainable using the resources (i.e. candidates) that are being offered for us now? The misfortune I see in our electorate is that we are very beholden to voting for personalities. It’s like the hero worship of sports figures, to the extent that nothing the hero does can ever be wrong in our eyes. As such, we identify ourselves with our heroes and expect their shining qualities to save us from the wretchedness that we, as a nation, created for ourselves. We look for father- and mother-figures because we do not want to be responsible for our own upliftment. We expect our heroes to magically wave their hands and our problems will go away. Thanks. Some folks are doing self help, I see, along the lines of psychological counseling, and are figuring out this matter of accountability for one’s own acts. I just love the way this “Mister Long-winded HANDSOME Bean Counter” (his word) concluded his article. ……..And Mar is LP’s front runner, and as front runners go, among all the candidates, it is Mar who has had the most extensive experience, exposure and linkages in the national government. It is Mar alone who is a legitimate Wharton graduate (some would insist undergraduate, but whatever. To-MAY-toe, To-MAH-toe.) It is Mar alone who has studied economics. The point is that while Mar is someone I wouldn’t share a beer with, I don’t think I would mind too badly if he’s the guy running the beerhouse operations, knowing that he’s not going to pick fights with his own staff. So yes, here I am again, pitching my hat in and joining the Yellow Army. I know this will make me very unpopular among my legion of friends who have pledged allegiance to the Mayor of Davao, but it is what it is. Mar Roxas and Leni Robredo are my candidates. I’m not sure why anyone would not want to share a beer with someone who is smart, funny, and interested in other people. Someone who likes to listen as much as he likes to talk. Reverse inferiority complex? Some people do have it…those with not enough self confidence, no matter their status in life. I just opened Facebook after several days. It is just me or am I finally seeing an active online and social media campaign for Roxas & Robredo supposedly coming from the silent majority? Are silent Roxas & Robreado supporters now getting vocal and calling for action? As Binay showed in the 2010 campaign, this 2016 presidental & vice presidential election is not in the bag for anyone until election day. There is still a month to go of campaigning. The campaign for local elections just started. I hope local leasers will gives the needed boost for Roxas and Robredo as the final stretch comes before election day. As JoeAm pointed out, I also noticed the large crowds in the pictures shared by Mar’s and Leni’s FB pages. I can’t remeber if any traditional media mentioned them. A video in Roxas FB page of the campaign in Iloilo was impressive, a very large crowd of supporters. Thanks for the mention of video coverage…can a video be photoshopped as claimed by the troll Leni R? Frankly, it is difficult to retouch a two minute video, but instead can be respliced and redubbed in 6-12 hours to make it look real, then drop it off into a website specializing in sensational “viral” videos. It is this use of edited media that makes it a choice weapon for propagandists and Facebook trolls. Surveys are not infallible. They can also get it wrong as shown in the recent UK andUS elections. Are the surveys wrong on Roxas and Robredo? We are about to find out on election day. Yep, as sir NH pointed out, that is the mother of all surveys. Let’s pray and work harder. I love RoRo but feel disheartened every time a new survey result is released. Just like now wherein he got only 19 percent ratings. Way below of Poe’s 28. I tried to study the patterns of survey results made last quarter of last year up to the latest and I discovered a pattern which partially explained Roxas and Poe’s ratings. One candidate is actually a spoiler. Try to figure it out. My basis are the time the surveys were conducted, the prevailing issues at that particular time, and the focus of the campaign of each candidate during that particular time. That is why there is wisdom in the statement that the mother of all surveys is the one that comes after May 9. Cheers cwl. Exactly. It ain’t over til it’s over. If this was 2010 and if we were rooting for Binay, we probably gave up a long time ago when the surveys were showing Roxas having a commanding lead in the preferential surveys at 30% to 40%. Unknown to us, Binay was planning his VP run for decades with the local network he created with his sister-city programs when he was Mayor of Makati. And Binay did catch up with Roxas in some surveys a week before the election. I remember a survey where it showed that a President’s nomination does not deliver votes, but the recommendation of Mayors do. Sorry but I can no longer find the link. I’m thinking that the campaign support of the Mayors for Binay in 2010 contributed a lot and was one of the major reasons that made him catch Roxas in the surveys before election day. What Binay did in his preparation for the VP run should not be a secret to the Roxas camp. I suspect that they also made some foundations when Roxas was the DILG Secretary in preparation for Roxas’ Presidential run in 2016. I remember Binay wanting the DILG post but did not get it. We know Roxas is intelligent, he should have thought about this matter even when he was DILG secretary. The only question left is, was Roxas’ performance as DILG secretary enough to convince the Mayors and Governors to campaign for him in the coming election? Reasons Why We Should All Vote For …. If …… becomes president, he will more likely than not continue the legacy of the Aquino family and, of course, the 1986 Constitution. This will mean that foreigners will forever be limited in their influence over the Philippines as they cannot legitimately own businesses without engaging in any kind of backroom deals with local authorities. Information from foreign sources will also be frowned upon by mainstream media and the education system and only data backed by local authorities will be considered or taken seriously. A 17-second video was maliciously edited. There’s a longer video (almost 43 min. long) that shows what actually happened in that meeting between Mayor Alfred Romualdez and then DILG Secretary Mar Roxas. The mayor wanted the National Government to take over. 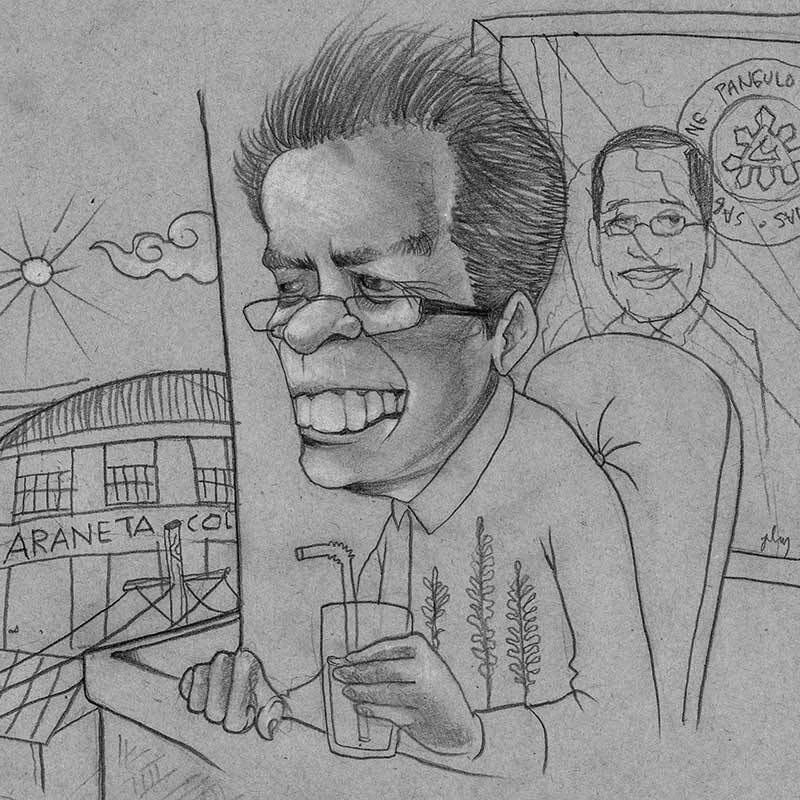 The city government of Tacloban could no longer function. The city council could not be gathered. Mar asked Mayor Romualdez to sign a letter of consent. Mar was concerned that if the national government took over without the city’s formal consent, it would be misconstrued against President Aquino. So, the question is we need to legalize our informal narrations. You cannot pass a resolution. So we need a document that says ‘please take over because we cannot do this…’ x x x With respect to the emergency, we want to legalize our standing here. …what we do can’t be questioned later on. The phrase “bahala kayo sa buhay niyo” came much later in the video and Mar had said it out of sheer frustration since the Mayor would not sign the letter. Nevertheless, the national government still took over because the local government was decimated and was ill-equipped to handle the situation. The spliced video was released by the father-in-law of Mayor Romualdez. The first news story about the spliced video was published by the Manila Standard, a newspaper owned by the Romualdez family. This was clearly an orchestrated tactic to besmirch Mar’s reputation. 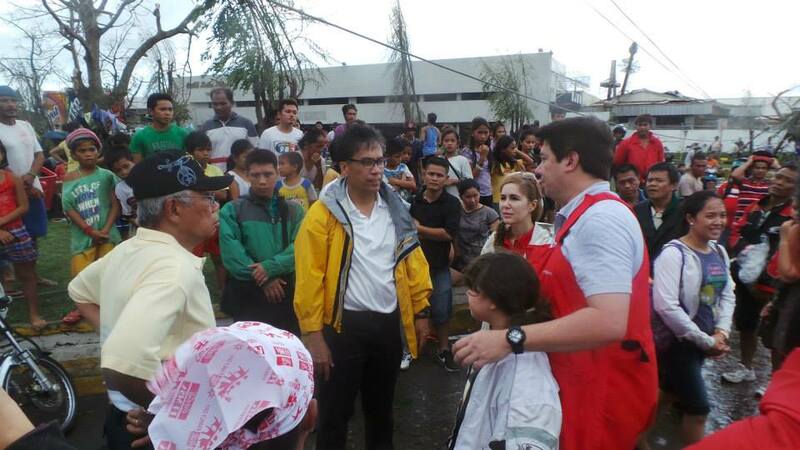 Despite the word war initiated by those who should have been thankful, Mar still worked to help the city. He personally delivered the first batch of aid from the national government. And this was gladly received by the mayors of affected cities – one such mayor was Alfred Romualdez. The Vice Mayor has belied what you are saying…. Mayor Romualdez has already apologized and here you are still resurrecting it, obviously for political reasons, since Mar is a candidate. See the picture there? Mar is already hard at work long before the mayor showed up. There is no way you can ever be satisfied no matter the hundreds of millions already poured for rehabilitation efforts. Desperate? Body language? Who wouldn’t when precious minutes are being spent over a piece of paper. Even the FEMA followed such procedures. You just could not move on. The guy who was there before, during and weeks after the fiercest typhoon in the history of mankind; Mar went the extra mile after seeing the magnitude of devastation. Is he God that you expect perfection 24/7 in those early moments knowing the mayor did not prepare his constituents, to evacuate them forcefully, if needed, to higher grounds, one who did not bother to find out what storm surge means, so to cover up his inefficiency, had to attack the one person there to try and clean up the way so relief oprations could be initiated, and while such operations are still going on he and his wife flew to Manila for series of interviews in air conditioned environment, and cry at the Senate while Dinky and the rest are making do with tents amid decaying dead bodies… And what thanks did he ever got from such ingrates? A spliced video to be resurrected years after the tragedy. You and Leni R…and the rest of the judgmental group – your brand of intrigues is tiring. Moi, je suis Joe le fou. Bonjour. So funny! Pwede kayong artista! But you can never fool the Filipino people around the world! Not this time! Duterte will surely win and that’s the end of the Yellow! Roxas cannot publicly criticize BS Aquino for his government’s failures, many see Roxas as impotent and a weakling. The voters who are tired of the current government want someone new and effective, not someone who promises to continue the same things. Why would they vote for Roxas when he could not even improve the appalling traffic situation in major Manila roads nor provide better public transport services while he was in charge of the Department of Transportation and Communications (DOTC)? Roxas’s recent attempt at revising the accounts as the tragedy unfolded through a comic book portraying him as a “hero” is an insult to the over 6000 people who died and countless who are still unaccounted for. The survivors know the truth and Roxas and his public relations people cannot hide it by glossing over the pain the suffering the victims are still feeling now particularly since a lot of them still live temporary bunk houses. It’s not enough that Roxas is perceived as a “decent” guy by those close to him. He has to be a people person too. Since only those loyal to the Liberal Party are into him, he won’t make it to Malacanang. It’s not enough that he has grand plans for the Philippines. If you think about it, it’s only recently that Roxas has become vocal about his plans. He now says his vision is to build a high-speed train and put order to traffic. Some people can be forgiven for saying his vision will be like his comic book — they will remain on the drawing board. Yes, family and friends in the business community Roxas is a part of will likely thwart the implementation of his “vision”. They will fight for the right to get awarded with contracts to supply and manage government projects. Because Roxas has to please his “friends” in the business community, negotiations alone could take the entire six years of his term. The voters are wise not to vote for Mar Roxas. Then what kind of Philippines do you want to live in? I do hope if you are under in any of the other candidates, should they be sworn in, are you ready to complain again if these candidates fail? Ok, those are your impressions of the guy, so be it…we have diffrent take on those issues which have already been discussed in this blog long, long before you found your way here. You are so sure he will not make it to Malacanang, why are you wasting your time here, why are you so afraid of him that you have to ressurect all these issues that have been already been gnawed to the bone so to speak..if you are that confident, why are you here still arguing, the truth is maybe you are worried that your candidate will lose and Mar will win. The noises you are making reveal your insecurities. Those 6,000 who drowned need not have died if only their mayor has bothered to research what a storm surge means and urged them forcefully to evacuate to higher grounds knowing his city lies on sea level. You blamed Mar for those deaths? Now who was the mayor, Mar or Romualdez? Who was the one who did not pay attention to warnings and televised advisory from the weathermen and the President? Who is the inefficient one and has to resort to blame games and character assasinations so his negligence will be covered up. You’re barking at the wrong tree, man. 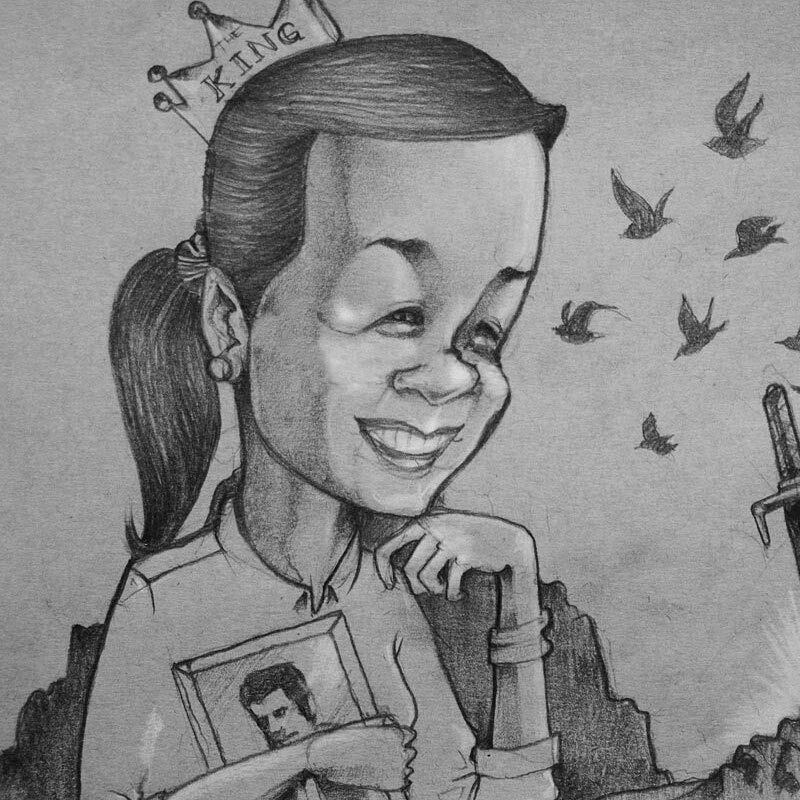 Those comics had to be circulated to counter such cover ups, lies and distortion of truths in contrast to the comics of the Marcoses aimed at revising the history of the despotic and plunderous rule of the conjugal dictatorship the other half of which is the relative of your inefficient Tacloban Mayor. Those are the Duterte trolls, Bill in Oz. I guess Joe’s troll filter is already asleep, designed maybe to filter Mainland Chinese trolls. That was my suspician also MGP…But perhaps Joe is shooting hoops with his boy…Needing a break from key boardy things…. Buddy Gomez is not a troll Bill in Oz. if you google translate Leni R’s comment,you will definitely add her to the trolls. Not a serious case of trolling. Just a one-off pop-in by an advocate of some other candidate. The best counter is to show other photos of the Roxas campaign, of which there are many, showing how well received he is and how large the crowds are. I did not want to do that lest I be seen as overboard partisan. One known troll, name of Bill. He did prove to have a good sense of humor, though, as his last message was from a computer I had blocked, and he told me he was off to eat his Shanghai noodles. He was saying “ha, I fooled you and got in! Good night!” I rather like the guy’s style. I don’t know about St Alphonsus. Could be. Buddy Gomez, however, is the famous Tomas Gomez II, a man I am proud to call “friend”. He has a history in government here, now resides in the US, and currently writes an opinion column for ABS-CBN News. He is an avid supporter of this blog and an all around good guy. He was expressing oneness with my son’s evaluations of the various candidates. Most touching, actually. 3 dead, 87 missing, 116 seriously injured these are all farmers only and peacefully asking for government aid. These poor farmers were victims of el nino, unarmed, defenseless and trying to beg for food. Why this Cojuanco-Aquino likes to kill farmers? The news ABS-CBN reported entirely a different story! This admnistration again are trying to twist and hide the truth! But NEVER AGAIN! No giant TV Networks can fool Filipinos! Eyes are everywhere, people are vigilant because they know that there is social media ready and willing to watch and listen! Again, Yellow will surely fall starting May 9, 2016! The entire people of Mindanao will rise and fight to stop tyranny! It will be unstoppable because Mindanaons wants federalism! A very hostile, bloodthirsty comment, St. Alphonsus. Would you mind informing us of your nationality, location and interest in the Philippines? Thank you. Those poor innocent farmers, busy begging, sure used a lot of clubs and huge rocks. Seriously? You are trying to say clubs and huge rocks against semi-automatic M-16 Rifle? Really??? I was born in Ozamis City a true blood Mindanaoan, raised by Mindanaoan parents migrated to Canada. I was in Edsa I and Edsa II and now I can feel a new kind of revolution is about to spark coming from the south! We are so tired of imperial Manila and the Yellow Tryrant! Mindanaons fought against all foreign aggressors who tried to invade our beloved land. If the Yellow will try to cheat this comming May 9, 2016 Election… There will be an a massive outcry to free and independent MINDANAO! I’m saying your characterization of the crowd as innocent farmers is a gross distortion. I also don’t like this approach of pitting Mindanao against Manila, as if Manila were some kind of enemy state. Nor do I like namecalling, like “Yellow”, when the term does not distinguish people in terms of policies. It is akin to racist labeling. I would also say that if you don’t speak respectfully of others, you won’t be heard any further in this blog. Just what I thought of you Mr Joe America trying to be Pilipino!. You may understand our history but you will never experience what it feel like to be a Mindanaoan and a true Pilipino. You should go back to the US and welcome Trump because he will be your next President! Too bad and I feel bad most of the Americans are moving to Canada. Honestly, Americans like you are never welcome in Canada! Trump is right we should start building those walls because you are the exact duplicate of Mr. Trump. I appreciate your concern to Filipinos but sad to say YOU ARE NOT ONE OF US! AND YOU WILL NEVER BE! I fully understand that Americans are most hated in the world. If you want more of me… you let me stay in your blog but if you don’t I will understand. TRUTH HURTS! Lastly… Mar is truly a fraud. I know that you know that. Ciao Amico! I publish your reply so that people understand what you and your leader Duterte represent. No further replies from you will be allowed. You have burned your right to expression here, in my forum. I hope the enlightenment spreads across the land, as to what this brand of “discipline” actually means. I ckicked on his facebook page Joe,he is solid Duterte. Ah, thanks, karl. So we can see from his representations what his leader Duterte stands for. Discipline does not mean following the law. It means do what the boss says, where the boss is Duterte or any of his goons. Take a hike brother! JoeAm is more Filipino than most Filipinos. You keep spewing rubbish, JoeAm has all the right to delete your comments. You don’t have a speech right in his dinning table. He is not a politician you can abuse. But he allowed you to weave some strings by which to hang yourself. Go on now to the nearest meralco post. Just a metaphor brother! Ah, that is very special, jcc. Thanks. St Alphonsus will be featured in my Monday blog, just written today. I am inviting Candidate Cayetano to clarify the definition of “discipline”. It is of irony that ABS-CBN, who earlier published Santiago’s popular book of anecdotes and witty commentaries, make big news about DOH medicine packages — okay, so they said these boxes were introduced three months ago, but why they made it a big deal now? binay is using government money (those he had stolen from Makati contracts. had he not padded the cost of the projects for his pocket, the contractor will only build the buildings for lesser amount, thus the padded cost is a government money that went to his pocket); grace poe and duterte are using Chinese lobby money (that is why both candidates were soft on China’s land grabbing of Spratlys). they will sell the country to the Chinese if either of them becomes president. I don’t find it reprehensible to spend government money so we can preserve our dignity as a people and fight for our sovereignty. so stop this “moral dilemma” about our money being used by one candidate– duterte and grace poe will do the same had they been running under the incumbent leadership. What I am saying is, not all media outlets are impartial to candidates. Remember that these are corporations first, entertainment circus second, and as supposed institutions as third. I was amused when I first read about accusations that Roxas’ ralllies were being Photoshopped. Really? This is ridiculous. For a change, here’s JoeAm’s rockstar in video with large crowds. Wait until other presidential supporters will claim that the videos were edited. Why, thanks, Juan. There are a lot of misconceptions about Mar Roxas, almost as if Filipinos were superstitious and inclined not to let reality intrude on their perceptions. When I looked in youtube, I can’t seem to find videos of the recent campaign rallies of Roxas. There’s a lot of black propaganda against Roxas in the videos I found in youtube. The recent pictures and videos of Roxas seem to be concentrated in Mar’s FB page. Here’s the link below for those who want to see the videos. After seeing some of the videos, JoeAm is right, Mar is indeed like a rock star, people congregate around him. He has mass appeal, contrary to what his detractors are saying. In the GMA news just tonight, Mar went to Hong Kong and OFWs can’t get enough of Mar. The video link is here, check out the video at time 23:23. During my teen years, I got to see a lot of Ninoy Aquino videos when he was fighting the Marcos regime during martial law. I don’t know much about Gerry Roxas, Mar’s father. But Ninoy was fond of Gerry Roxas and here’s part of his tribute to Gerry. The quote is a good reminder for all of us when despair comes at times and we want to give up on our fellow Filipinos. “No, brod… we cannot give up, not now. because we have been pampered by our people. A man whom the lust of office does not kill. A man whom the spoils of office cannot buy. A man who possesses a principle and a will. A man who will not lie. It seems Leni has finally caught up with Bongbong and Escudero and momentum is with her with 36 days to go. I hope the LP machinery can get into high gear, now that the campaign for local officials is in full swing. If the LP-allied Mayors can deliver and convince their constituents to vote for Roxas and Robredo, there’s a very strong chance for Mar and Leni on election day. MANILA, Philippines – With 37 days to go before election day, the vice presidential race remains a close fight among 3 candidates who are statistically tied at top spot in the latest Pulso ng Bayan report by Pulse Asia. Juan, I have to advise you that the purpose of the blog discussion forum is exactly that, for discussion. Even if I agree with your cause, it distorts the purpose and purity of the blog if I allow it to be used for promotional advantage. I posted some information to elicit discussion and not for promotional advantage. My apologies if my posts were construed differently. Please delete my posts so your blog will not be accused of promoting a particular candidate. Thanks. The references are valuable to some, I’m sure. I just make the point because as the editor of the blog, I am trying to develop a robust open discussion. A lot of people with agenda arrive to promote their wares and so I moderate actively. I’m glad that is not your intent, so everything is fine. Thanks. MANILA – Liberal Party (LP) standard- bearer Mar Roxas II said there’s a need to continue to implement various programs under the “Daang Matuwid” for a better Philippines. “Over the last five years, we’ve accomplished so much, we have attained investment grade status internationally. We have improved our competitiveness standing and our ease of doing business standing by 40, 50 points in international grading. Interest rates have come down from 18, 20, 25 percent, to now at 6, 8, 10 percent. There are millions of jobs that are being created annually. That’s why we want to continue down this path, this straight and narrow ‘Daang Matuwid’ path, so that we can continue the progress that our country is now experiencing,” said Roxas in his talk with overseas Filipino workers (OFWs) in Hong Kong on Sunday as part of his campaign together with running mate Leni Robredo. “The situation today is much, much different. But it’s still not in Olympic status. So, we need to continue improving, training, building up strength, so that we can run faster than where we are today,” he said. Roxas cited that for over the last five years, more than seven million people have crossed over from below poverty to above poverty level.